As a Reseller or Managed Service Provider, you have the ability to export your customer's templates and landing pages to a file which can then be imported into another customer's account. Navigate to the area where the content you'd like to export/import resides. Select the check boxes next to the content. Click the "Export Selected" button. This will download a file to your Downloads folder. Next, navigate to the customer account where you'd like to import the exported content. Click the "Browse" button and find and select the recently-exported content in your Downloads folder. 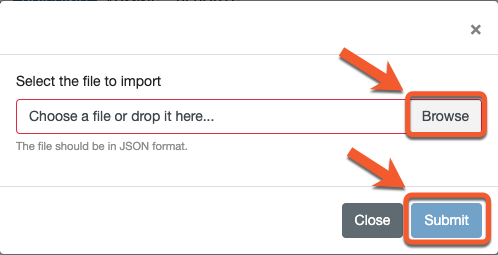 Next, click the "Import" button to import your content. The content will be available in the Drafts folder and will not be available for use until it is placed in a category on the account you imported to.